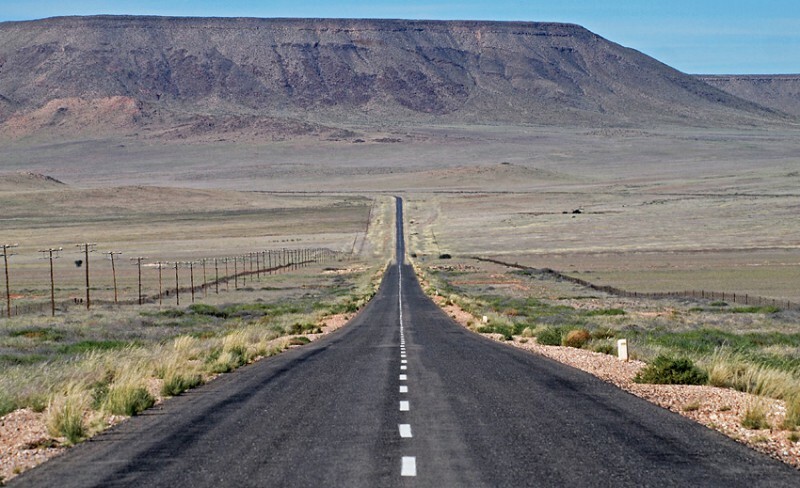 …before we turned on the beautiful tarred road towards Lüderitz. At one point we were just driving and driving when I told Marie to look in the mirror. We stopped at Aus, a small but very nice little town where we got the fuel we needed. We continued west but not far from Aus we found a sign saying “wild horses”. We turned into that road. 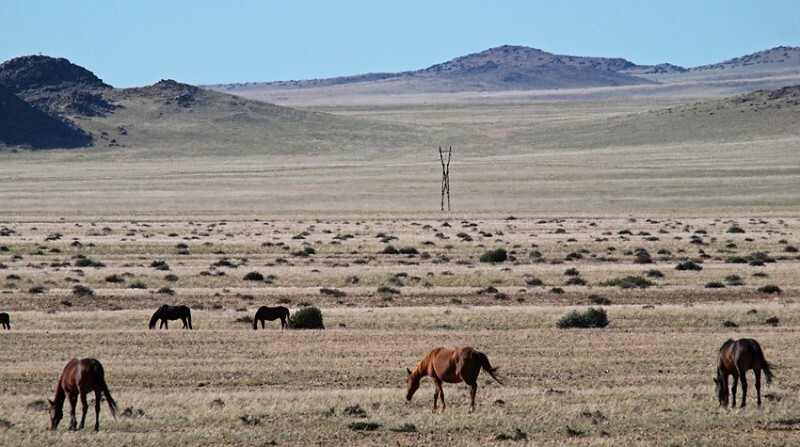 Since some 100 years a group of less than 200 wild horses live here in very arid semi-desert conditions. 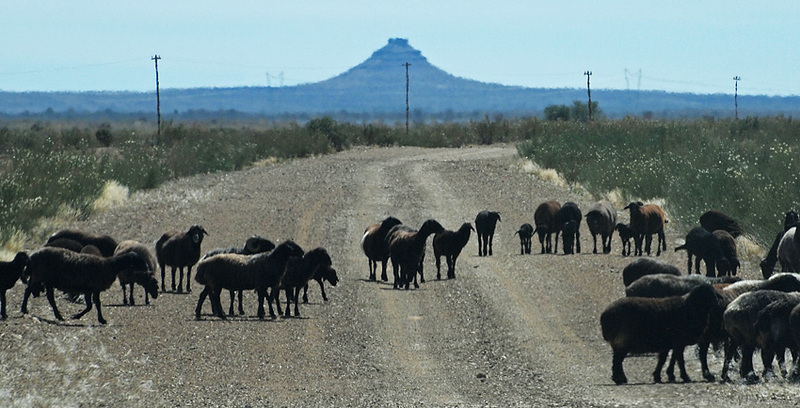 No one knows for sure where they come from but during the years they have adopted to the very harsh conditions here. The last 100 years have brought several really dry periods but the wild desert horses are still here. Today most seem to agree that the horses probably are descendants of german military horses that were left behind or escaped as the South African Army went into German South West Africa (now Namibia) at the beginning of World War I. Today these horses are a tourist attraction and an artificial water hole has been built. Next to it is a nice shaded area where visitors comfortably can watch the horses. We were lucky at our visit and could count to almost 100 horses. We were not the only visitors but it was still very quiet. It was like all visitors were filled with respect for these beautiful animals that against all odds have survived for a hundred years in an environment not well suited for horses. 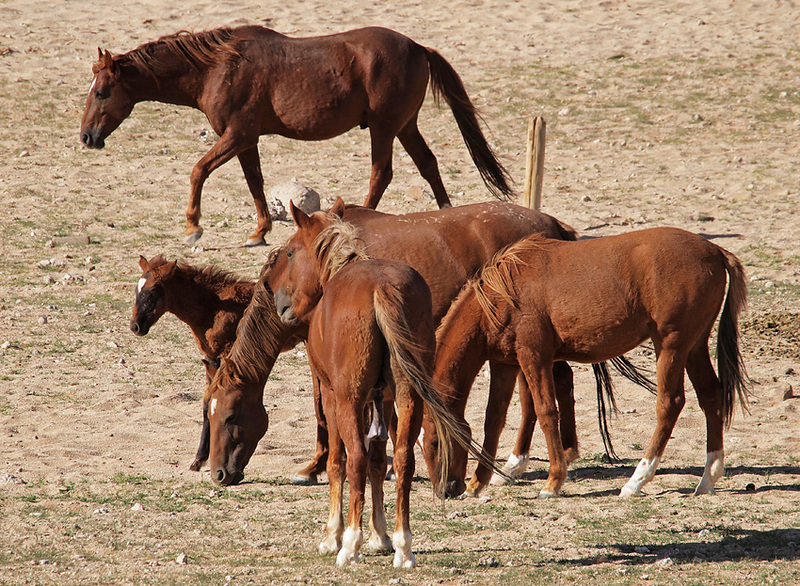 Read more about the wild horses of Aus!